“If you want your cow to give more milk, you feed it more. The idea is the same with Bt cotton. 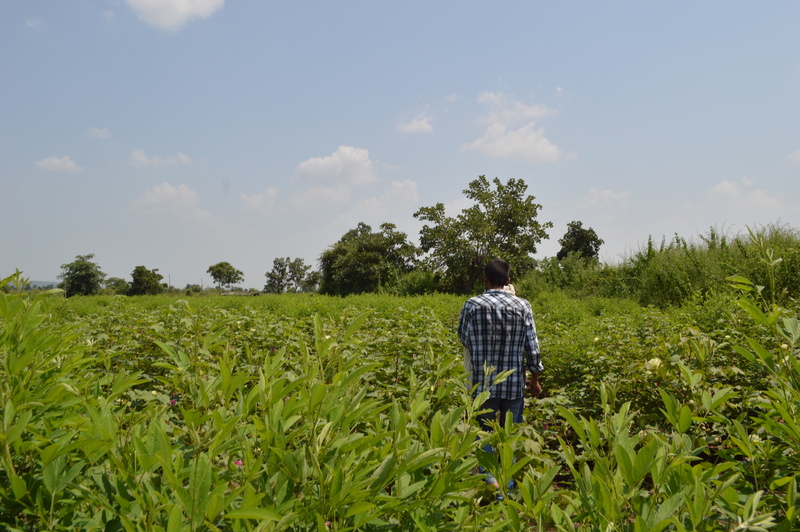 If you want the crop to yield more, you have to keep feeding with fertilizers and water until you have nothing left.” Stories from a trip to Maharashtra’s cotton belt. Heading northbound in Maharashtra, the hills of the Western Ghats become smaller and smaller until they sink into the ground, disappearing entirely. The landscape is replaced by row after row of mono-crops; soy, wheat, cotton. As I sit in the bus it is hard to tell that hours are ticking by because the scene outside of the window remains stagnant, despite the kilometres we leave behind. Welcome to Maharashtra’s cotton belt, an area I have been reading about intensively for the past few months and wanting to visit for many more. My fascination for genetically modified cotton was ignited a year ago at a Gentically Modified Organism (GMO) free lecture that was organized by a civil society group in Pune. When I had previously thought about GMOs I would think about food crops and in turn, the outcomes for human health. Truthfully, I had thought that most of the arguments against GMOs were not supported by fact. In my research it has come to my attention that the narrow perspective on the issue that we recieve is without the most important pieces. The perception towards people who actively oppose GMOs is that they are anti-technology, anti-modernization. However, there is significant overlap between organizations which are anti-GMO and movements which work toward pro-organic and small scale agriculture as a means for food security. There are alternatives, but it will require reconsidering our worldview around progress and development to truthfully understand them. The pitch for ‘modernized’ agricultures sounds pretty convincing. You plant the GM seed, it grows faster, produces more, and you don’t need to spray as many pesticides. It is in line with the goal of our society – do more, in less time, with less care. But as I have learned, this narrative of growth has not rung true in many parts of the world where farmers have limited access to land and resources. Instead, agricultural societies have been caught in a trap of purchasing costly seeds and fertilizers from multi-national corporations on an annual basis in order to support their livelihood. The struggles of farmers in Maharashtra, which push them to end their own lives has become a salient issue in the media. 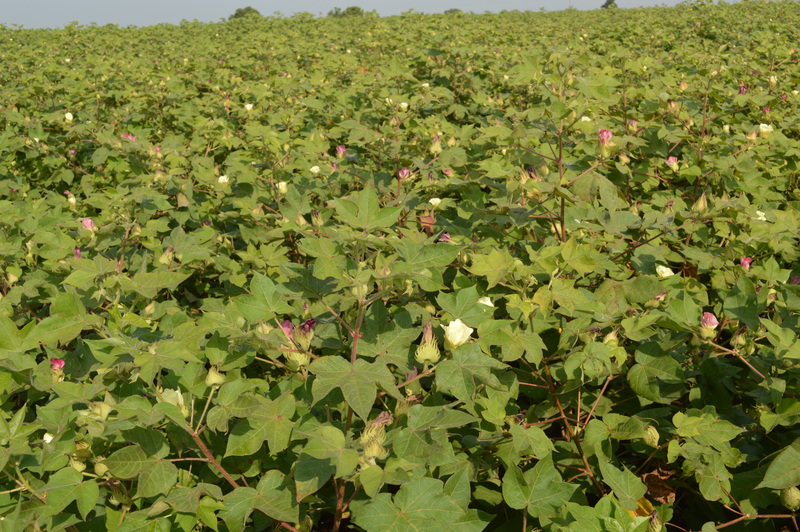 There isn’t enough water for the Bt cotton crops, which leads to crop failure and income loss, which cannot be paid off in subsequent years of crop failures. The debt piles on, and farmers become helpless. While elements of this story are true, it paints the farmers of Maharashtra as weak, and complacent with the injustices forced upon them. However, the reality is quite the contrary. In my research in Wardha I was introduced to farmers who are entirely aware of the systemic discrimination against them, and are finding unique ways to fight it. One of the farmers I met was Deepak Barde. When I arrived at his farm I was led into a shed converted resource centre where he had many newspaper clippings about his farm framed on the wall. Evidently in his local community, he had become quite the celebrity. 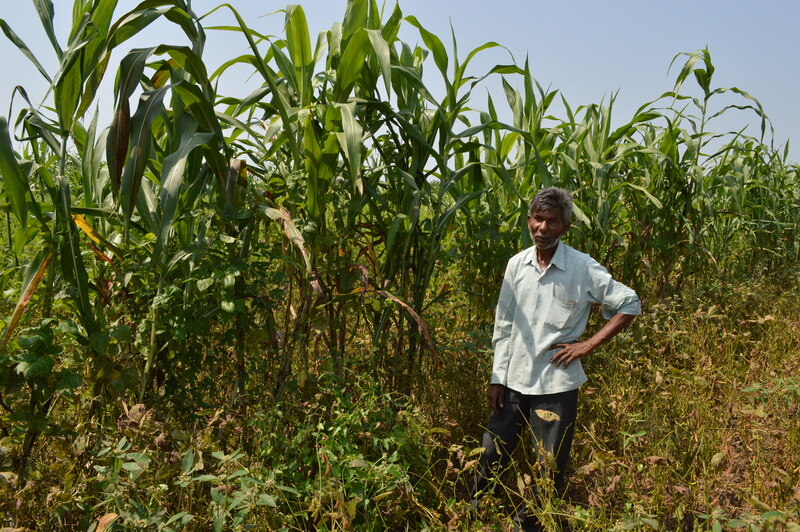 Deepak had started off farming Bt cotton just as other farmers in his village were doing. The first three yields the crop was successful, and he was making a profit. In the following years he noticed soil depletion and the chemical fertilizers he had to spray on the Bt cotton would kill the food crops he was growing for his family on the same plot of land. He was uncomfortable with switching away from mixed subsistence farming, and he wanted to protect the diversity of his land. So, he has made a gradual switch towards organic and is now earning a premium for his produce in a unique market niche, which he unlike many farmers has found access to. His story doesn’t end there. 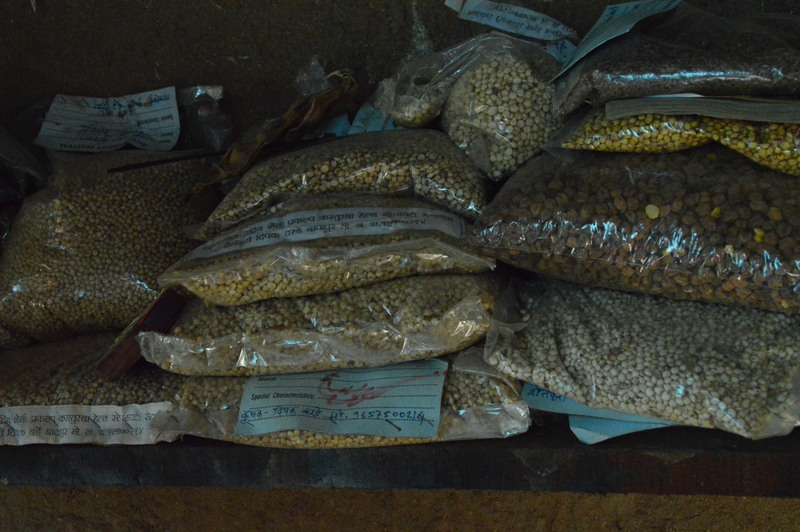 He has also been collecting traditional Desi seed varieties which he shares with other farmers. When I asked him about the availability of Desi seeds in the market, he said they are impossible to find in seed shops. In effect, farmers are left with little options to continue growing crops on their land with traditional methods. Deepak Barde on his farm. During my stay in Wardha I was privileged to stay in the home of Vasant Futane who ,alongside his wife, runs a centre for rural development called Gram Seva Mondal. A prominent organic farmer by trade and a Ghandian by principle, he believes that the future of farming must be in line with the foundations of Swaraj. Swaraj is the philosophy that when villages are granted the liberty to self-govern, they will be self-sufficient. It is to regenerate new reference points, systems, and structures that enable individual and collective self-development. When farmers rely on seed companies and costly inputs for their crops, and in response, lose the diversity of their seeds and the health of their land, those responsible for feeding the nation become marginalized and diminished. 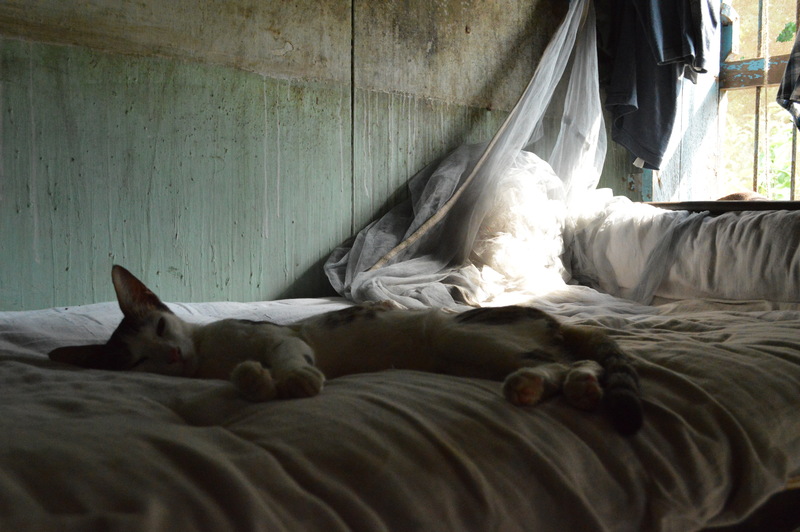 At the Gram Seva Mondal, the cat seems to be the one one with the liberty to take a rest during the busy day. Farmers are resisting the revolution of industrial agriculture by cultivating desi seeds and maintaining seed banks accessible to other farms. Through this practice they are working to keep knowledge alive within their communities. Desi seed varieties harvested and kept by organic farmer Deepak Barde. I arrived in Wardha with the perception that I had a decent understanding of the situation, but when I arrived I realized how little of the story I have been exposed to. The farm visits and conversations I had were not nearly enough to complete my understanding of India’s agricultural situation, but it has provided me with a much more holistic view of how it interacts with people’s lives. Now the hard part lies in encouraging other people to understand that while seeds may seem like a small concern, they are representative of much larger issues at stake.